Air New Zealand has dropped the price of their flights from Edmonton to Sydney, Australia down to $928 CAD roundtrip including taxes. 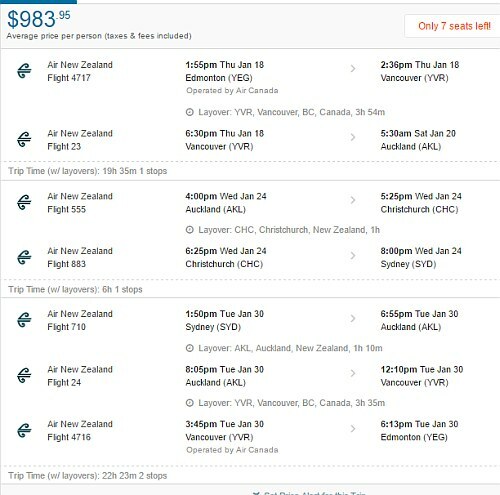 The flights have 2 stops each way, in Vancouver and Auckland, New Zealand. There are dates available for this price in *every* month in 2017 and 2018, but the most notable dates are the January dates. 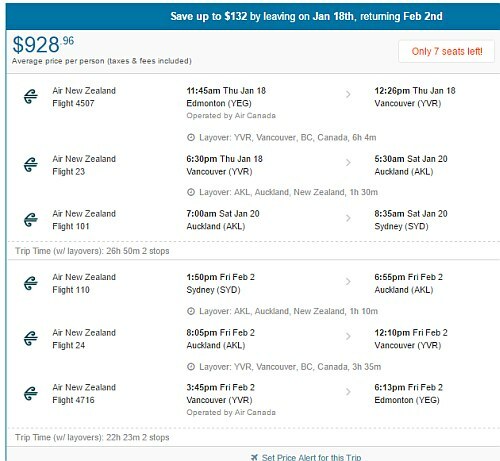 In the recent past, Air New Zealand, Qantas, and Air Canada have been willing to significantly drop the price of their flights from Edmonton to Australia for travel in February, March, April, etc. NOTE: After your Flighthub search completes, click on 'Flexible Dates' to see more dates for $928 CAD roundtrip. You can also try your own dates in the months listed above. Be sure to click on Flexible Dates afterwards. There are a wide variety of travel durations. The best flights I've seen have around 22-24 hours of total travel time each way. 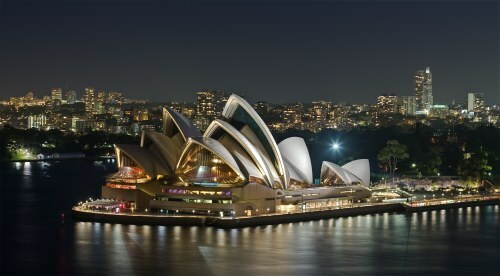 edmonton, yeg, flight deals, australasia, air new zealand, sydney, australia, syd and oceania.